Over the years, I've had such fun reading other blogging friends blogs, and finding out their favorite things. So many of these things have become favorites of mine also. This year during the month of December, even if only for myself, I am setting a goal to post each day with one of my favorite somethings. 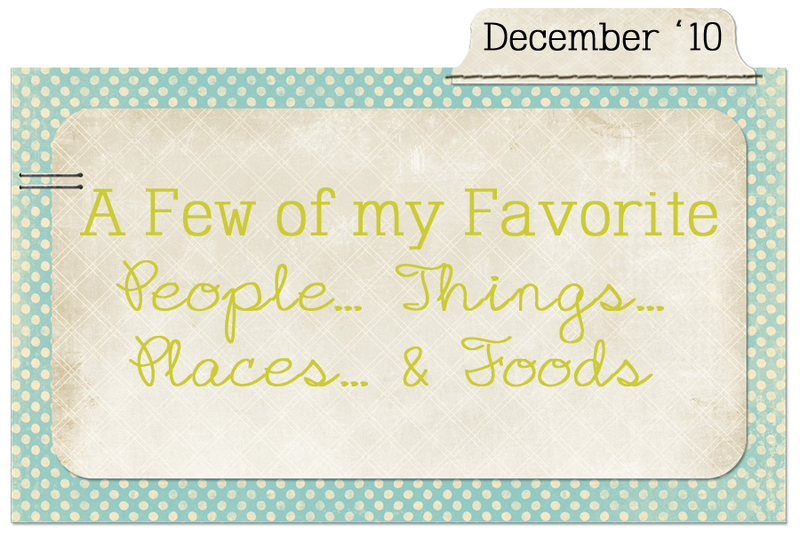 It could be a favorite food, a favorite thing, a favorite person, a favorite blog, a favorite handmade thing, a favorite place... really a favorite any and everything! Join me as I review my favorites during December 2010! I'd love to read about your favorites too! 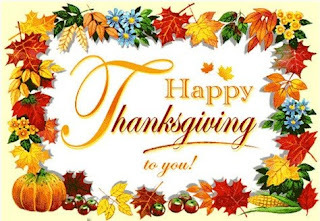 Oh my stars and bananas - Thanksgiving is just a few days away! WOW! I've had our menu planned for some time, and believe it or not... I made assignments and others are bringing food too! I KNOW! Shut the BARN DOOR! I have always been all... gung ho Martha Stewart and have insisted on making almost everything myself. I don't know. Because, believe me (and if you've done the cooking, you KNOW what I mean) no one gets or appreciates the incredible amount of work it takes to get it all done. So, hooray! I've set aside my own personal "inner Martha" and will be enjoying the fact that others will be enjoying the pleasure of helping get our incredible meal prepared and on the table. HOOOORAY! Without any further adu, here's our grand menu! I do believe we have all of the bases covered, and with the group we have joining us this year (19 as of right now), we've got a need to have plenty of food available! Good times with lots of food - fingers crossed! Ooooooklahoma: Soldering Classes at Paper Crown! I am coming to Oklahoma City, Oklahoma to teach soldering classes at Paper Crown next month, and I CAN'T wait! Quite honestly, my first impression (make that my first trip) to Oklahoma was not the greatest. For real. It's a doozy of a story (one I'm sure I'll share with the fabulous ladies there), and I am SO looking forward to having a better experience! Some of my most favorite creative friends live in Oklahoma, so it HAS to have some wonderfulness in it. I just KNOW it. I'm teaching two basic classes and one intermediate class. The greatest thing about these classes? ALL of the supplies and necessities are included - YES, included! Gotta love being able to go to a class and not having to worry about packing a thing! (Of course, if you're coming, and you already own a soldering kit, I'd bring it with you - just to speed up your own soldering!) Check out all of the details on their blog. Robin (my source for almost everything soldering related) has been incredible, and has set up a listing that has everything I talk about and use in my basic class. It's got everything you need to get going, and even to make a bunch of charms of your very own! Plus... If you don't already own a kit, I'm pretty confident that once you learn how to solder, you're going to LOVE it! I am SO hoping to visit with some of the incredibly awesome Oklahoma Bella's while I'm there. They're the sweetest bunch of ladies, with the hugest hearts and loads of creativity. And... I'll tell you what - they are so welcoming and sweet. LOVE that! 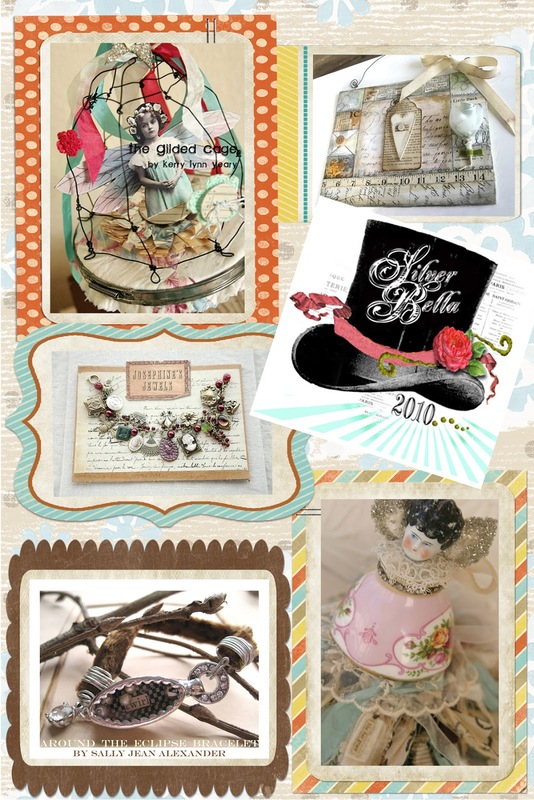 Silver Bella 2010: I'm back! Post Coming Soon! I can't believe that another Silver Bella has come and gone! I had such fun and have so much to share with you! But, alas, I have family flying in from out of town on Saturday, and I need to focus my attention on getting my home into tip-top shape. So, my post will have to wait. But, I have invited my Bella friends to share their blog posts here too! 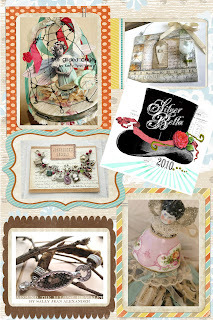 If you're a Bella and have posted to your blog about Silver Bella 2010, please link below so that we can read your post! I'll be back soon with mine! Silver Bella 2010: I'm On My Way! Next week, I'll make my annual trek to the Old Market area of Omaha, Nebraska to attend Silver Bella. I can't wait! I am attending classes taught by some really creative women, who have designed projects to both inspire and push us creatively. I'll be creating a piece of art with Lisa Kaus, a gorgeous fairy cage with Kelly Lynn Yeary (dude, I have enjoyed her creativity since before Silver Bella 2006! ), a delightfully vintage bracelet with the french vintage jewelry maven Kaari Meng, a teacup friend with Beth Quinn (I have one of her ORIGINAL pieces... created before she found her spot with her "she" line), and soldering away with the queen of all things soldered, Sally Jean. I, along with the entire student body, will have the joy of attending a group class with the grand madame of Silver Bella, Mrs. Teresa McFayden. To say I am REALLY looking forward to next week would be a gross understatement! As you can tell, I am going to be among some seriously amazing and creative women! I am so darn excited! I really am looking forward to going, being among some of my greatest friends, and just be-ing. Do you know what I mean by "be-ing?" I can go and just be... no pressures (other than those that i put upon myself) and I can go, forget about the challenges and struggles of daily life and just do my "thing" with women who get and INSPIRE me. I love it! I'll get to hang out with her, her , her and her. We'll get to listen to her as our esteemed guest speaker. And... she'll be there and so will she, she, she, she, she, she, she, she, she and she. Well, in honesty, there are over 150 attendee's this year, so there's going to be LOTS of she's who'll be there and I am looking forward to being with each and every one of them! I have got to get busy packing my bags, finishing my supply gathering (which means rifling through my studio to find it all), and getting things situated at home so that we're ready to fly the coop and begin the adventure!